Many of the jobs are moving from the states back to the company's home base in Korea. Things aren't looking great for the folks at NCsoft. The Korean company has produced and published some very popular games, including 'Guild Wars' and 'Aion,' but they've recently had to make some pretty significant layoffs in their U.S. based facilities. The number of people laid off or given a 60-day notice hasn't been disclosed, but jobs are being eliminated in Austin, Brighton and Seattle. From the sound of things, a lot of those jobs are going to be heading to Seoul. 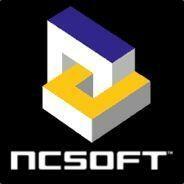 "In an effort to put a greater focus on the success of the Western-developed games from NCsoft, and the long-term services MMOs require, we announced a global restructuring to our Western publishing team," says NCsoft in a statement to Massively. "As a result, there has been a reduction in force that has impacted less than 2 percent of our global workforce."